If you want something done, sometimes you just have to do it yourself. The city and county of San Francisco teamed up with Earthlink and Google nearly a decade ago to build what was planned as a citywide Wi-Fi network, only to see Earthlink retreat from its municipal Wi-Fi business in 2007. The citywide system was never built. The network will be free, won’t carry ads and won’t require users to sign in. Unlike the failed Earthlink system, it won’t be offered as a home broadband service and will be strictly an outdoor network. San Francisco, Philadelphia, a group of Silicon Valley governments and other municipalities placed high hopes on public-private Wi-Fi networks in the middle of the last decade as a way to make public areas more attractive to Internet-savvy visitors and get underserved, low-income people online. But proposed business models built around advertising or daily and monthly largely subscriptions proved unsuccessful and in some cases were legally challenged by private service providers. Since then, some networks centered more on municipal uses and resources have emerged. After the disappointments of the past, and drawn-out discussions of possible new projects since Earthlink pulled out, the Market Street deployment will prove city Wi-Fi can work in San Francisco, said Marc Touitou, the city’s CIO. “The citizens are going to say, OK, those guys are for real. They can do this,” said Touitou, who was hired earlier this year. Planned as a three-month project, the Market deployment missed that target but was completed in a matter of months, in contrast to the years of wrangling involved in the Google-Earthlink network. “I believe that I can go much faster just with the agencies of the city,” Touitou said. The city is getting some help from Wi-Fi vendor Ruckus Wireless, though not of the type Earthlink and Google offered the last time around. Ruckus simply donated more than 150 of its ZoneFlex 7782-S outdoor access points, along with network controllers, and helped the city install them and link them to its 130-mile municipal fiber backbone. Where fiber isn’t available, the access points can mesh with each other. The Wi-Fi gear is mounted on the city’s own assets, such as traffic light poles, so San Francisco didn’t have to lease space on private buildings. 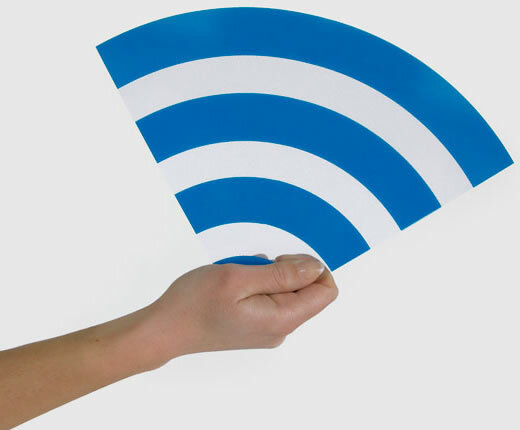 The open network, with the SSID “_San Francisco_Free_WiFi,” won’t require any sign-on information from users. Like many of the tech startups surfacing around San Francisco these days, the city has no revenue model for its would-be disruptive technology. It simply wants to take the lead in deploying a type of service that Touitou thinks will be ubiquitous in all cities eventually.